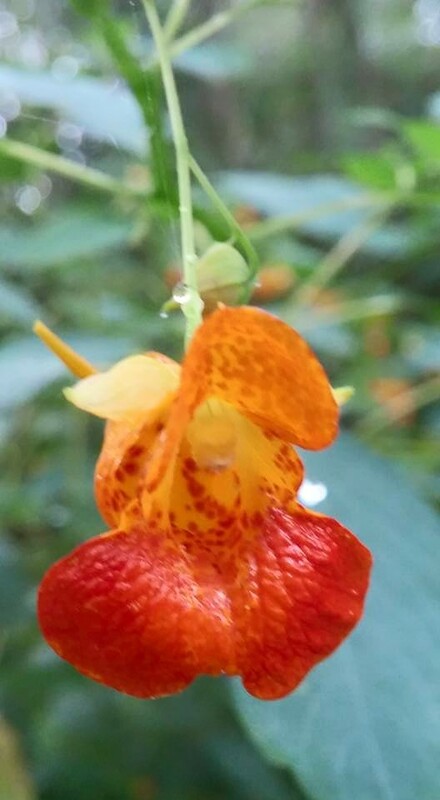 Some people call Impatiens capensis “Spotted Jewelweed”. They when sunlight shines through the beads of water that form on the leaves, they look like jewels. Others say that the ornate orange flowers with reds spots look like jewels. They are both right. European plant hunters thought they were so pretty that they shipped them back home, where they were planted in gardens. Hummingbirds, butterflies, and bees like them too. When I was a kid, I loved to touch the ripe seed pods, so that they would explode and shoot their seeds everywhere. That’ why they are called Touch-Me-Nots. I guess I am still a kid, because I still like to do that. Besides being pretty and good for pollinators, Touch-Me-Nots have a lot of medical uses. Native Americans smeared the sap from the stems on hives, poison ivy, stinging nettles, and other skin sores and irritations. It also has anti-fungal properties and may be useful for athlete’s foot. I have used it on stinging nettles and poison ivy. My Mom uses Jewelweed soap for Poison Ivy. It has worked for us. 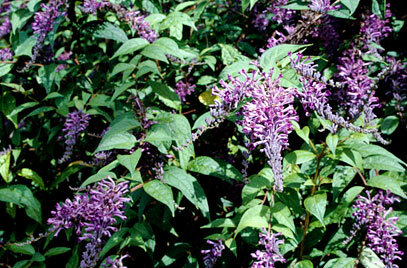 Although native to a large part of the US, it mainly occurs along shaded streambanks in the cooler parts of the state. It is uncommon on the SC Coast. 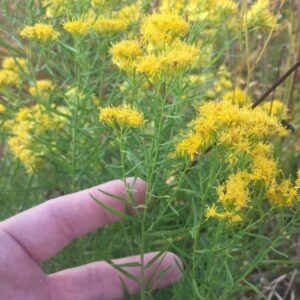 I have only seen it growing wild in two places in Beaufort County. (No one else has documented them here.) One of these places was wiped out by repeated spraying, thankfully we propagated our plants from it in the early ’90s before it was ruined. We have kept it growing in and around the nursery ever since. Whether you like their beauty, their value to wildlife or their medicinal uses, when you buy them you help us to preserve them. At 2′-6′ tall, they are quite striking. 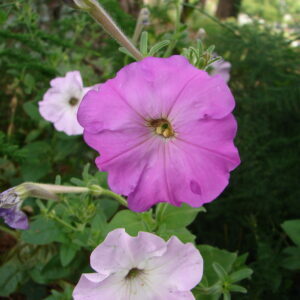 They can grow in bright sun or in deep shade, as long as the soil never dries out. They don’t mind wet feet..but can’t handle salty feet. Don’t have a moist place, plug the hole in a container or put a saucer under it. They are normally deer resistant, where deer are excessive, interplant them with one of the “deer baffles” to protect them. (Equisetum ‘Bluffton Biggies’, Verbena scabra, Teucrium canadense would all work well) They are annuals, but on a good site with cross-pollination, they come back from seed, year after year. Thin out the seedlings that you don’t want (they are very easy to pull) share them with a friend or toss them under a bush for mulch. Plant two or more for better pollination. They are available a short time each spring. Reserve yours now. Thank you!